This is pure genius. 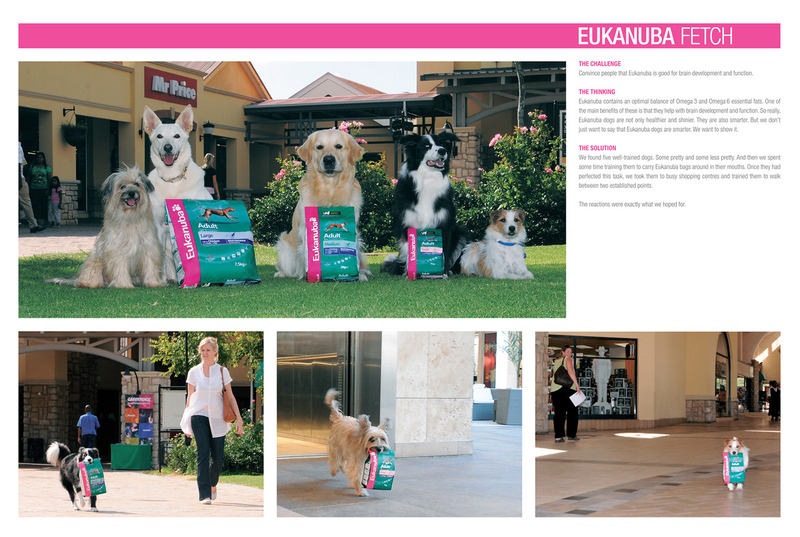 Take 5 dogs, train them to carry empty dog food bags in their mouths, teach them to walk without distraction between two points and then set them to work in your local shopping centres. This is exactly what Saatchi & Saatchi in Jo'burg did and I bet it was with tremendous effect.